Over the last year, a number of giant mystery holes, formed by exploding methane in thawing permafrost, have been detected. There are concerns that these holes may lead to huge methane bursts. It’s a never-ending cycle. "Permafrost soils contain vast amounts of carbon, nearly twice as much as is currently in the atmosphere. As the permafrost thaws in a warming climate, the soil decomposes and releases carbon to the atmosphere as carbon dioxide and methane. These are greenhouse gases and they warm the Earth even more. This leads to more permafrost thawing, more carbon release, and so the cycle continues,” says climate modeller Sarah Chadburn from the University of Exeter, explaining the permafrost carbon cycle. Technically speaking, permafrost is permanently frozen ground where the ground temperature has remained below zero degrees Celsius for at least two years. Around 24% of the northern hemisphere’s land surface is covered by it. Now the permafrost is thawing and releasing greenhouse gases and may even be creating massive sinkholes. Around 70% of permafrost is found in Russia, and in Siberia. Whole cities – of which Yakutsk is the largest – are built on permafrost. The thawing affects not only the buildings and infrastructure - a number of giant mystery holes, formed by exploding methane in thawing permafrost, have been detected in Siberia. They could be the reason for huge methane bursts. Carbon dioxide and methane are the world’s top two greenhouse gases. Nitrous oxide (N2O) ranks number three. Recent research has shown that this gas is also given off in some areas. Little is known about N2O, “but we should start measuring the levels of this too,” says Sue Natali, a WHRC scientist who has been studying permafrost in the field. As a greenhouse gas, methane is approximately 30 times more powerful than CO2 over a 100-year period. 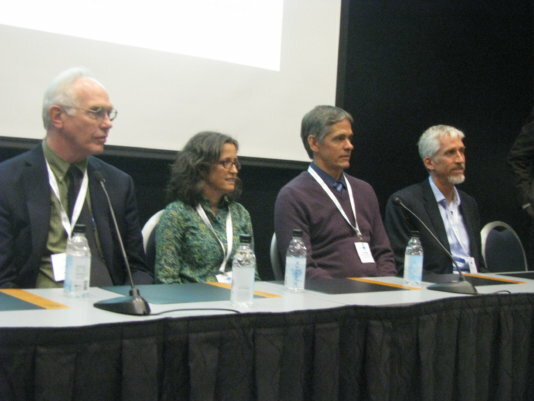 “The good news is that methane has a short lifetime in the atmosphere compared to CO2,” explains Max Holmes from the Massachusetts-based Woods Hole Research Center (WHRC) in a presentation at the recent Arctic Circle Assembly in Reykjavik. “The bad news is that it breaks down into CO2,” he added. “Most climate models do not include the warming aspect of permafrost emissions, “ says climate modeller Sarah Chadburn. Even the IPCC has not included permafrost in its climate projections. “The permafrost contribution will increase global warming by an average of 0.3 °C, though it could be up to 0.7 °C,” she added. “The objective for the COP21 climate summit should really be a temperature increase of no more than 1.7°C, to take account of emissions from permafrost,” says Hugues Lantuit from the Alfred Wegener Institute in Germany. Up till now, although the IPCC has acknowledged that permafrost contributes to global warming, the data has been missing so the impact of permafrost could not be included in their reports. Lantuit’s colleague, Julia Boike, told Arctic Circle participants that more than 50% of water bodies in permafrost areas are too small to be detected and are thus omitted from maps and not used by climate modellers. Whereas most scientists have detected methane emissions mostly in summer, Walter Oechel and Donatella Zona from San Diego State University, and the Open University and the University of Sheffield have seen significant autumn emissions as well. “However, overall, these come as consistent, gradual, emissions. Methane bursts or spikes are a minor part of the cold season and annual methane emission in our experience,” they say. Besides contributing to global warming, thawing permafrost also has an effect on Arctic wildlife and indigenous populations. 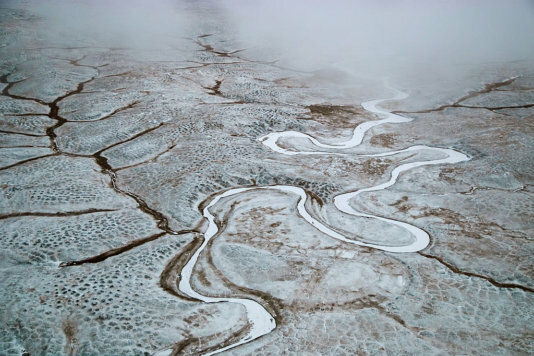 Courtney Price, from the Arctic Council’s Conservation of Arctic Flora and Fauna organization, says that continued thawing of permafrost is one factor that can lead to the drainage and eventual disappearance of thermokarst lakes. These lakes are formed by the thaw of ice-rich permafrost and accumulation of surface water in the depression. “Thermokarst lakes act as ‘hot spots’ of biological activity in northern regions… Such biologically productive systems are important to Arctic peoples for supporting traditional lifestyles, and for providing water to rural/ urban communities and development, especially where groundwater resources are unavailable,” she explains. May her words not find frozen grounds when over 190 countries at the COP21 in Paris discuss how to finally stop global warming.